The remains of 55 dogs have been discovered decomposing in a wildflower reserve, some charred or bearing signs of bullet wounds. 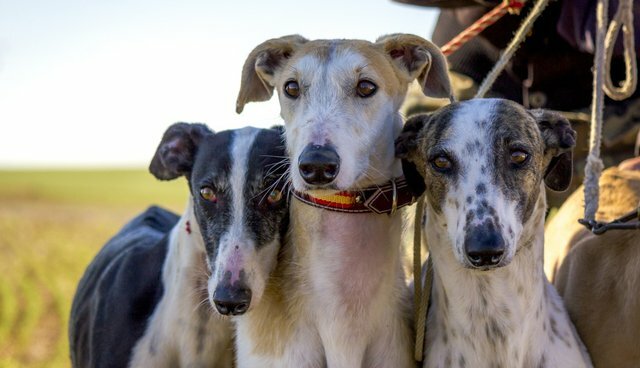 The dogs were victims of greyhound racing, a sport that takes the lives of a shocking number of dogs both on the racetrack and off. The horrifying discovery, made in Queensland, Australia, seems to confirm reports that trainers routinely and brutally put down unwanted dogs or pay to have them killed. Police and representatives from the Royal Society for the Prevention of Cruelty to Animals arrived at the preserve in Bundaberg late Wednesday night after the RSPCA received a tip-off that the site was a dumping ground. Whoever dumped the dogs made no attempt to bury them, scattering their bodies across a 650-foot swath of land and leaving them exposed to the elements. Queensland's Courier Mail has details and photos from the grisly scene (Warning: Contains graphic and disturbing images). 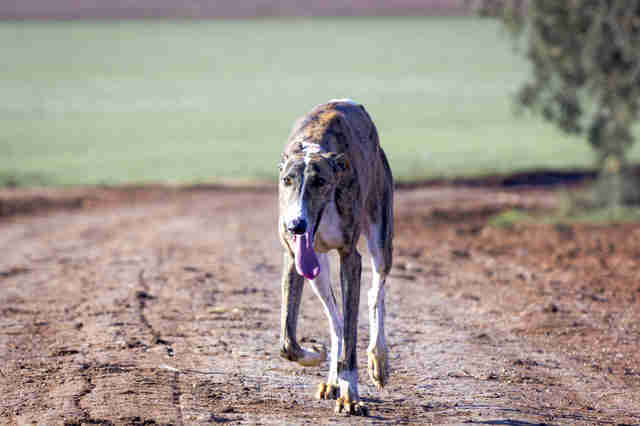 News of the mass grave has reignited the fierce debate over greyhound racing that peaked in February, when it was revealed that trainers were abusing live animals to engage dogs' chasing instinct. Some critics of the industry are using this tragic discovery to call for an immediate end to the sport. In the meantime, police are working to bring the dogs' killers to justice; they have identified several trainers they will be investigating in coming days. One licensed greyhound trainer and her husband have already been charged with weapon offenses. "The people who have perpetrated this crime to me are oxygen thieves," Police Minister Jo-Ann Miller said, according to The Courier Mail. "They are cowards and they are pathetic." If you'd like to help put an end to this tragic sport, you can sign the petition at GreyhoundCruelty.com.